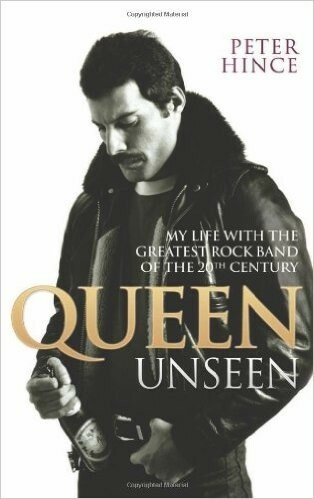 Peter Hince, long term roadie for Queen (in particular, Freddie Mercury and John Deacon's #1 roadie), has just updated his very readable account of his life with the band. Hince joined Queen from Mott The Hoople just before they hit worldwide fame and from then essentially lived and breathed with the band until the final tour (promoting the 'A Kind Of Magic' album). Hince retired from the band before this (to focus on photography) but touchingly re-joined Mercury to support the triumphant Live Aid concert. The book is an absorbing tale about life on the road and contains many snippets about the band members. There are no revelations though, it is not clear whether Hince holds back tasty morsels on the band members or he was ultimately still that little bit remote from them. He certainly doesn't say a bad word about the band, even the stories of Mercury's dominant attitude are told with affection. Hince's view seems very honest and he doesn't appear to be a massive fan of all of Queen's music; he was essentially doing his job as Mercury and Deacon's go-to roadie. In summary, Hince's association with this massive and glamorous band resulted in many a story and these are all told in good-hearted detail.